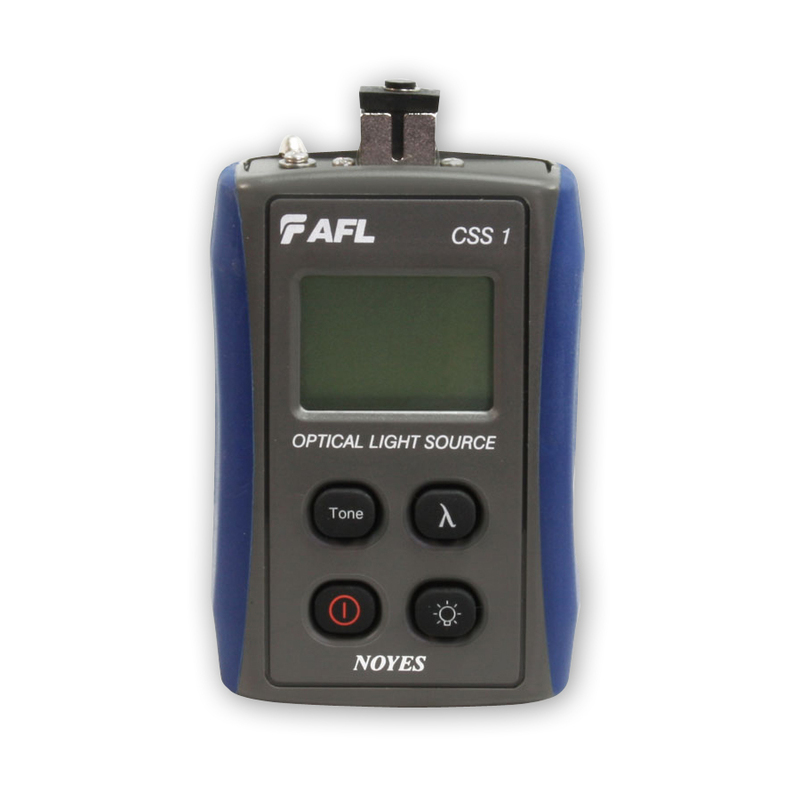 The NOYES CSS1-SM from AFL is a palm-sized, cost-effective dual LASER source designed for performing insertion loss measurements on single-mode fiber optic links when used with an optical power meter. When paired with an optical fiber identifier, the CSS1-SM may be used for fiber identification. The LASER output is stabilized to ensure accurate test results per current TIA/EIA requirements. Weighing only 0.4 lb, this light source is ideal for field use. The CSS1-SM features 1310 nm and 1550 nm LASER output from a single output port and is easy to operate. Each wavelength may be transmitted individually at CW or with user selectable modulated Tone. The output port is equipped with UCI based removable adapters to allow the output connectors to be inspected and cleaned. A large LCD display with backlight shows emitted wavelengths [nm], tone frequency [Hz], and indicates a low battery condition. The CSS1-SM offers long battery life from common AA alkaline batteries. The CSS1-SM is fully N.I.S.T. traceable.